4450501 T20AP LINDE T20AP Warehouse T type. Spare Parts Catalog. Service (workshop) Manual. Operator's Instruction Manual. 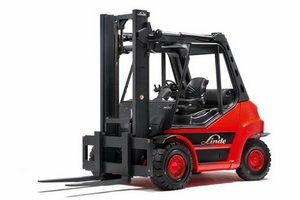 4450502 T20SP LINDE T20SP Warehouse T type. Spare Parts Catalog. Service (workshop) Manual. Operator's Instruction Manual. 4450503 T30 LINDE T30 Warehouse T type. Spare Parts Catalog. Service (workshop) Manual. Operator's Instruction Manual. 4450504 T20R LINDE T20R Warehouse T type. Spare Parts Catalog. Service (workshop) Manual. Operator's Instruction Manual. 4450505 T20 LINDE T20 Warehouse T type. Spare Parts Catalog. Service (workshop) Manual. Operator's Instruction Manual. 4450506 T20AP LINDE T20AP Warehouse T type. Spare Parts Catalog. Service (workshop) Manual. Operator's Instruction Manual. 4450507 T30 LINDE T30 Warehouse T type. Spare Parts Catalog. Service (workshop) Manual. Operator's Instruction Manual. 4450508 T20 S01 / S02 LINDE T20 S01/S02 Warehouse T type. Spare Parts Catalog. Service (workshop) Manual. Operator's Instruction Manual. 4450509 T30R LINDE T30R Warehouse T type. Spare Parts Catalog. Service (workshop) Manual. Operator's Instruction Manual. 4450510 T20S LINDE T20S Warehouse T type. Spare Parts Catalog. Service (workshop) Manual. Operator's Instruction Manual. 4450511 T20SF LINDE T20SF Warehouse T type. Spare Parts Catalog. Service (workshop) Manual. Operator's Instruction Manual. 4450512 T16 LINDE T16 Warehouse T type. Spare Parts Catalog. Service (workshop) Manual. Operator's Instruction Manual. 4450513 T16L LINDE T16L Warehouse T type. Spare Parts Catalog. Service (workshop) Manual. Operator's Instruction Manual. 4450514 T18 LINDE T18 Warehouse T type. Spare Parts Catalog. Service (workshop) Manual. Operator's Instruction Manual. 4450515 T20 LINDE T20 Warehouse T type. Spare Parts Catalog. Service (workshop) Manual. Operator's Instruction Manual. 4450516 T16X LINDE T16X Warehouse T type. Spare Parts Catalog. Service (workshop) Manual. Operator's Instruction Manual. 4450517 T20X LINDE T20X Warehouse T type. Spare Parts Catalog. Service (workshop) Manual. Operator's Instruction Manual. 4450518 T20 LINDE T20 Warehouse T type. Spare Parts Catalog. Service (workshop) Manual. Operator's Instruction Manual. 4450519 T30 LINDE T30 Warehouse T type. Spare Parts Catalog. Service (workshop) Manual. Operator's Instruction Manual.